Thank you to BHPian smartcat for sharing this information with other enthusiasts! 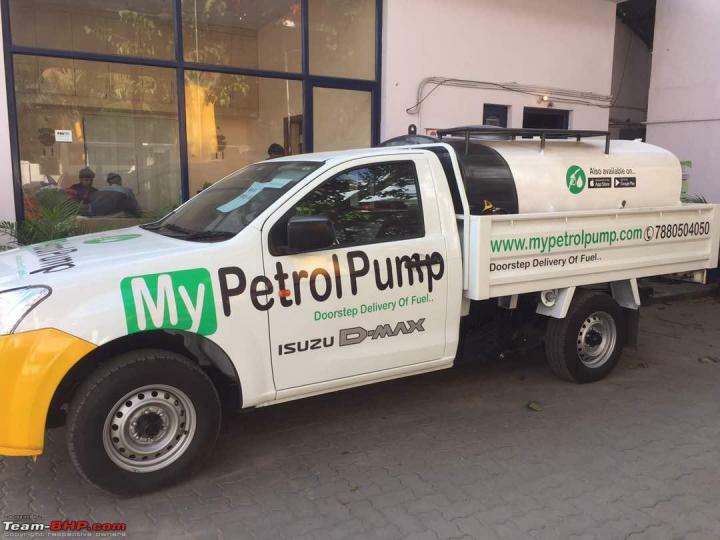 A consumer brand of ANB Fuels Private Limited named Mypetrolpump has started delivering fuel at customers' doorsteps. www.mypetrolpump.com is an online platform through which you can pre-book/order refuelling at your location. Currently, the service is operational at select areas of Bangalore (HSR Layout, Koramangla, Bellandur, BTM & Bomanahalli & nearby at PIN codes - 560102, 560103, 560034, 560095, 560076 & 560068). The company will be expanding their service to other locations in the near future. You can place an order by visiting the website or by calling on 7880504050. A free smartphone app will soon be introduced on Apple App Store and Google Play Store. 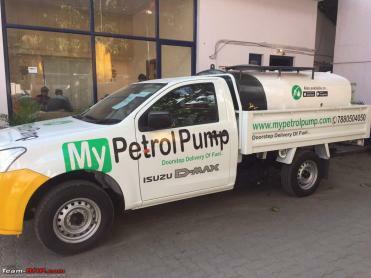 At present, the Mypetrolpump is only delivering diesel and the minimum order should be for 20 litres. The home delivery charges are Rs. 99 for any order of up to 100 litres. Above this, you have to pay Re. 1 per litre above the fuel price. You can put in a request for frequent requirement of fuel and avoid ordering every time there is a need of fuel. Cash or POS machine payment by swiping cards are accepted as of now. 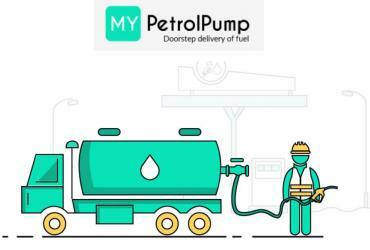 Mypetrolpump claims that it gets the fuel from authorized dealers of oil companies near the location provided by the customer. It also claims that the fuel is sourced only upon receiving pre-bookings from customers and does not purchase or stock fuel prior to delivery. The Government of India has also been considering home delivery of fuel in order to minimize the loss of fuel and time while waiting in long queues at fuel stations.